Windows password recovery tools are used to recover or reset lost user and administrator passwords used to log on to Windows operating systems. If you have questions or concerns, see our Windows Password Recovery Programs FAQ. We also have an easy-to-read comparison of these programs that should help. A Windows password recovery program is just one of several ways to find a lost Windows password. Need to Crack a Different Kind of Password? See this list of free password crackers for free programs that crack PDF files, Word & Excel documents, RAR & ZIP archives, and more. The Ophcrack Windows password cracker is by far the best freeware Windows password recovery tool available. It's fast and easy enough for a first time Windows password cracker with a basic knowledge of Windows. With Ophcrack, you don't need any access to Windows to be able to recover your lost passwords. From another computer, visit the site, download the free ISO image, burn it to a CD or flash drive, and then boot from it. The Ophcrack program starts, locates the Windows user accounts, and proceeds to recover (crack) the passwords — all automatically. In a test on a Windows 8 PC, Ophcrack recovered the 8-character password (mixed letters and numbers) to my administrator account in 3 minutes and 29 seconds. Ophcrack supports Windows 8, Windows 7, Windows Vista, and Windows XP. Though I tried Ophcrack against three very simple Windows 10 passwords, not one of them were found. Offline NT Password & Registry Editor (ONTP&RE) works differently than most password recovery programs in that it erases your Windows password instead of recovering it. You can think of it as more of a Windows password tool. Like Ophcrack, you boot from a burned disc or flash drive created with the Offline NT Password & Registry Editor ISO file. After running the program, you can log in to your Windows account without entering a password at all, and then, of course, make a new password if that's what you want. If you like this "password deleting" strategy then I highly recommend this program. It requires some seemingly difficult command line work but I have a full walkthrough available. In other words: you can do this! I've tested Offline NT Password & Registry Editor on 64-bit & 32-bit versions of Windows 10, Windows 8, Windows 7, Windows Vista, and Windows XP PCs, and it reset the passwords immediately without a problem. It should work on Windows 2000 and Windows NT operating systems too. Kon-Boot is yet another free password reset program, much like ONTP&RE. Just burn the program to a disc or USB drive, boot from it, and you're off. Kon-Boot works differently than the two password reset tools above, so if you have problems using them, give Kon-Boot a try. It's very, very easy to use and probably the fastest password reset, and certainly password recovery tool, available. Unfortunately, Kon-Boot 1.0 does not work with 64-bit versions of Windows, nor any version of Windows 8 or Windows 10. I used Kon-Boot v1.0 to successfully delete the password on a Windows Vista PC and then also on a Windows XP PC. A commercial version of Kon-Boot supposedly works with 32-bit and 64-bit versions of Windows 10/8, but I haven't tried it myself. Cain & Abel was able to recover the 10-character password to the Windows XP "Administrator" account in 10 seconds. While it only officially supports Windows XP, 2000, and NT, some users have had luck getting it to work in Windows Vista and Windows 7. I've tried it with Windows 10, 8, 7, and Vista, and was unsuccessful each time. 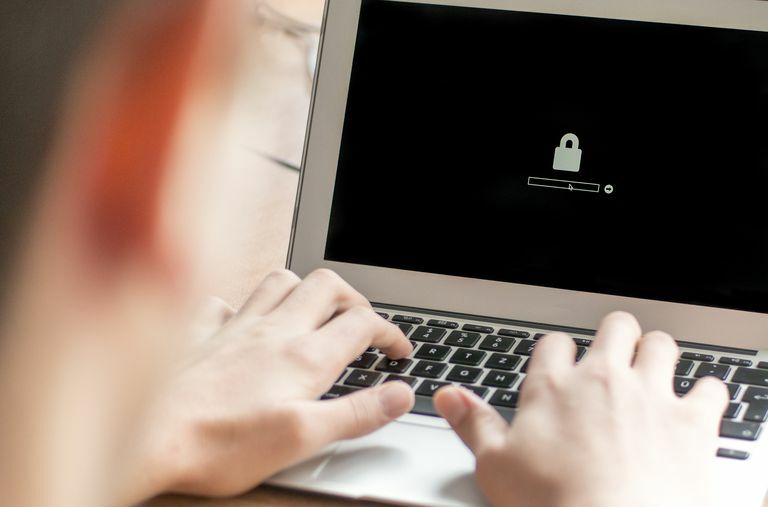 LCP can be a little intimidating to those new to Windows password recovery tools, so some prior knowledge is very helpful to avoid even bigger problems with your PC. I haven't been able to get LCP to work for me in Windows XP, the newest version of Windows it supports. Please let me know if you've successfully used LCP and would like to share your experiences. Trinity Rescue Kit needs to be booted from a disc or USB stick to work. It includes many different tools, one of which is for password recovery. You can use Trinity Rescue Kit to clear a password entirely, making it blank, or to set a custom one. Some of you may find this program difficult to use because there isn't a graphical interface. However, even if you're not used to a command line interface, most of the required keystrokes are just numbers for choosing different options for resetting a password. Trinity Rescue Kit should work with Windows 10, 8, 7, Vista, and XP. The password resetting tool in Trinity Rescue Kit, called winpass, is actually just an automated script for the chntpw tool, which is what Offline NT Password & Registry Editor, listed above, is based on. If you tried that password tool and it didn't work, Trinity Rescue Kit probably won't either. John the Ripper is a popular free password recovery tool that can be used to find Windows account passwords. While the password recovery application itself is free, the wordlists used by John the Ripper to discover passwords, do cost and are required for the software to work. I'm told there are free word list alternatives that work with John the Ripper, which is why this Windows password recovery tool is still listed as free. However, I have not tested any of them. John the Ripper is operated at the command line, which makes it a password cracking tool reserved for the very advanced user. In theory, John the Ripper should support all popular versions of Windows like Windows 10, 8, 7, Vista, and XP. These Windows password recovery tools are great if you need them, but there's a much easier way to access your account if you forget your password — a password reset disk!